Look away now if you’ve got a weak stomach. 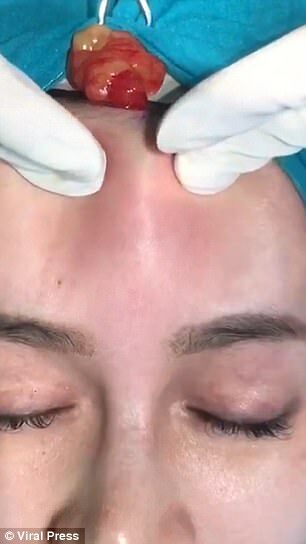 This gruesome footage shows doctors squeezing out pus from a woman’s forehead after her cosmetic procedure led to an infection. Nong Guang, 41, from Thailand, was given dermal filler injections to reduce the effects of her wrinkles two years ago.